Battlestar Galactica is really enjoyable. It’s nothing like the connotation that the name implies. It tackles some really interesting human struggles and ethical dilemmas through the near extinction of the human race. I love the way officers always paint people in the most optimistic light regardless of their errors. Plus it’s in space which is awesome. It get's a little weird in the latter part of the series but I think it's a really quality addition to the world of sci-fi. Mad Men. “It’s like watching poetry” I read once. It is just a dynamic, beautifully fluid show. All the characters have such high and low points. So many grey-area issues. Glee. I think the pilot for Glee is possibly one of the greatest pilots ever made. The series is funny and touching (sometimes overly dramatic (I guess typical of high school? )), but the pilot is an amazing work of high school drama, finding one’s place in that time of life, the confusing peer pressure and being who you are. The whole thing ending in the greatest cover of Don’t Stop Believin’ ever made. I think the show does an awesome job recontexualizing pop songs into everyday struggles and celebrations. They don’t always line up perfectly, but they definitely tend to link emotions with songs in an interesting way. Here are some of my favorite examples. Teenage Dream and Hey Soul Sister are by another school and their songs are more in the style I’d like hear on a show called ‘glee.’ Just because I think a lot of the songs have too much back up instrumentation and not enough vocal support. Which is a shame because everyone does sing really well. I think several of the people are off broadway. They have amazing voices. Just realized this was a Florence + the Machine cover. Rad. Breaking Bad. Amazing drama. Really intense show. (If you don't know, the premise is he's a high school chemistry teacher who finds out he has cancer and wants to provide for his family in case he dies.) It starts off good in season one, but really hits it’s stride in season three. It was great season. Although it’s weird when a character displays a trait or characteristic(s) you have but never really realized you had. Other than cooking Meth, I see a lot more of myself than I’d like to in Walter White. Most characteristics are more exaggerated (I hope) but they’re there. Pride, poor communication, stubbornness, and the last one, the one that’s new to me is his need to work on anything and everything except for the real issue. In one episode he starts doing house repairs because it’s basically the only thing he can successfully repair at the moment (as opposed to his marriage or job or cancer). He just goes all out repairing a water heater. As soon as he finishes he realizes that the floor underneath the old water heater is rotted from leaking water. Repairing the floor leads him to the mold problem underneath the house. What starts off as one minor hill ends up being this mountain range. He finishes, but it’s takes a toll on other things that need his attention (family). I don’t know what causes that, but I’ve got it. Sometimes I feel like I can’t control anything and so I pick something I can control and just hit it full steam. It makes me feel better but it doesn’t help with the issue that pushed me there in the first place. And it generally involves a physical project whether it be cleaning or constructing. Sometimes it’s a project I started out working on but in the process I lose all perspective. The other day i got a new bike (well, and old bike, but new for me). It was really really dirty and had a flat tire. So I thought, “I’ll just look up ‘How to repair a flat’ and go get the parts and do it!” So I went out and got the stuff and came home to fix it up. After starting I realized I had to take the wheel off. It was the back wheel so it involves the chain and gear changing mechanism and everything. In taking that off I realize every part is getting dirty black grease on everything, so I figure I’ll just pull the bike in the shower, spray it down with Mean Green and brush off the grease. Well I did that. I put my bathing suit on, drug the bike into the shower and started washing. An hour or so, a full bottle of cleaner, two bathtub brushes, and shower walls and floor covered in grease washoff later I was done. I would’ve taken a picture or shown jesse, but I was scared I wouldn’t be able to clean up what I’d produced. A half hour scrubbing the shower and things were good as new. I got out, dried off and finished repairing the tire. Amazingly, I was able to reassemble the bike without too much trouble (and an extra set of hands from Jess). The only thing I didn’t put enough time into was tightening the nuts back on sufficiently because on my ride the next day the back wheel came undone and I bent the wheel. Oh well. Another project awaits. But I do that stuff all the time. We’d be cleaning for company in Jamaica and I’d get sidetracked defrosting and chipping ice out of the freezer or disassembling the fan to clean off the dust. What causes that? Should I see someone? I was disappointed when Cranston and Paul won Emmys for their performance in season 3 because I was watching Mad Men at the time and thought they should’ve been rewarded. However, after just finishing BB season 3... rightly so. Their performances were phenomenal. Anyway, I’m not sure what the point of this post is. I have other things I could be doing but instead I’m writing about TV shows that have had an impact on me this past year. Regardless, I highly recommend all of these shows. 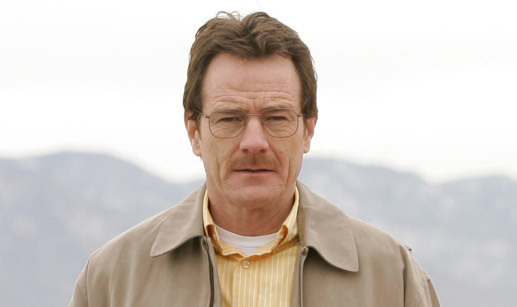 AND I think that the character of Walt White is interesting. He's so motivated and driven to power through and succeed. He makes so many mistakes, especially regarding friends and family. And he always ends up in a really bad situation and just when you think he's truly done it this time, he reminds you that he's really quite ingenious. And while he's a pathological liar (he's working on it) you always feel that he's trying to be honorable. He's messed up, but I like him.